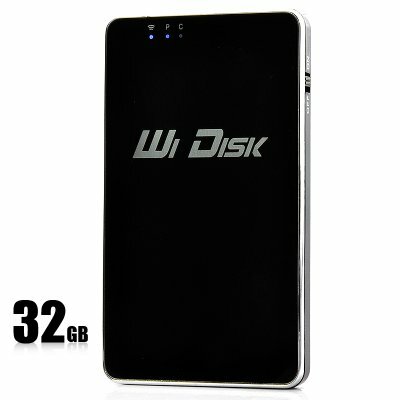 Successfully Added Wireless Flash Drive - Wi-Fi, iOS and Android Compatible, 32GB to your Shopping Cart. Wireless Wi-Fi Flash Drive with 32GB of internal storage, supporting both iOS and Android phones as well as PC’s, Tablets and Laptops! Access your files wirelessly by connecting your phone, laptop, PC or Tablet PC to this wireless flash drive through Wi-Fi. Share files with your friends, colleagues or classmates or just use the flash drive to rapidly access your own documents. The built in battery gives you enough power for 4 hours of continuous use and can be charged through a USB cable. The wireless Flash drive emits a Wi-Fi signal which you can connect to with your Wi-Fi enabled device so there is no need to be in range of a router. Fill in the IP address given in the user manual to navigate to the folder or download the iOS app when using an iPhone. Welcome to the future of wireless! In stock now, this wireless flash drive is offered at a low wholesale price and with a 12 months warranty. Brought to you by the leader in wholesale flash drives and memory cards, Chinavasion.